Use our directory below to find your clerk of court. Are you seeking information on the Clerk of Court in your community? Our directory below lists contact information for the clerk of court in every county in the State of Florida. If you need to pay a traffic ticket or contact your clerk of court for any reason, we have the information that you need. And should you be interested in signing up for an online Florida traffic school class, we can help as well! Dealing with a traffic ticket just got a lot easier thanks to Government Online Services Corporation and local and county governments who now provide methods to pay traffic tickets online. If you have received a traffic ticket in Florida, the process of paying your traffic ticket, electing traffic school and submitting your certificate of completion is all done through the clerk of court in the county where you receive your traffic ticket. Use our directory below to find your clerk of court. Each county name provides detailed instructions on dealing with a traffic ticket and electing traffic school. Also find answers to frequently asked questions such as where to find your citation number, how online traffic school works, traffic ticket fines and more. 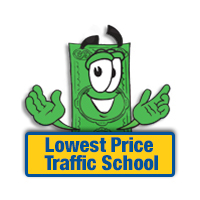 At LowestPriceTrafficSchool.com we offer industry-leading Online Defensive Driving /Traffic School courses that are approved in ALL 67 Florida counties by the Florida Department of Highway Safety & Motor Vehicles (DHSMV). 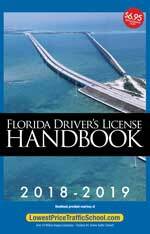 Below you will find our handy Florida Traffic School Directory. Click the links below for helpful information about Defensive Driving courses and guidance about dealing with traffic tickets in your particular city.